Students interested in earning an online MBA degree through the University of Alabama at Birmingham likely have a variety of different career paths in mind. One especially common element of business that MBA students and graduates should be familiar with is marketing. The effectiveness with which a company can raise awareness of its products or services and convince wholesalers, retailers, and individual customers of their value is a key consideration. For marketers, dealing with this foundational business need is a day-in, day-out task. Even for those pursuing MBAs who set career goals outside the world of marketing, understanding core topics related to marketing makes it easier to see how this business process factors into other areas of operation and a company’s performance as a whole. One basic yet critical concept that all MBA students should understand is inbound vs. outbound marketing. This division of different forms of outreach and engagement helps define the tactics taken by businesses when it comes to marketing, both in individual campaigns and in terms of overall strategy. 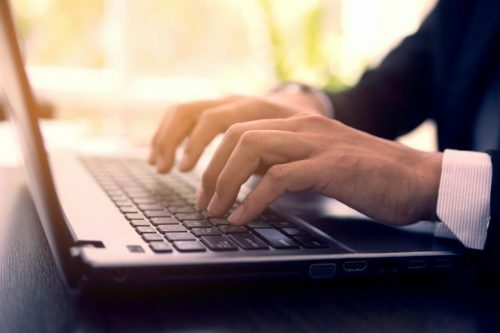 Let’s look at the basics of both inbound and outbound marketing and review how earning an online MBA with UAB helps students develop a solid understanding of important marketing practices. Inbound marketing focuses on creating a wide range of potential assets that support your company’s brand, products, and services, which ultimately piques the interest of potential customers and encourages them to investigate further. This ultimately leads to an initial purchase and further economic interactions as time goes on. Although businesses generate assets such as blog articles, podcasts, graphics, videos, and much more with the intent of generating from potential customers, they leave the discovery to the customers themselves. The importance of inbound marketing has increased in recent years as the transformative effects of the internet have made it so much easier for consumers to make choices based on research. By presenting blogs, product videos, and many other assets and making them easy to find, businesses integrate themselves into the world of the informed shopper. The resources seem less like traditional advertising while providing legitimately valuable information and perspectives about a given product or service. This element of an inbound marketing strategy is one of the ways in which inbound differentiates itself from outbound marketing. To match the preferences of modern consumers and effectively participate in the increasingly digitally driven marketplace, inbound marketing is a critical consideration. Outbound marketing generally refers to the types of marketing that customers don’t need to seek out to discover. Although an advertisement that airs on television or pops up in a banner position on a website requires the viewer to take an action like turning on a TV or visiting a website, that action is not directly connected to a specific company, nor its products or services. Print, broadcast and digital advertisements, direct mail, telemarketing cold calls, trade shows, and similar efforts all fall under the banner of outbound marketing. In this approach, companies can specify their reach by targeting specific demographics, but they usually don’t have any indication of individual interest from those who see the advertisements. Outbound marketing plays an important role in terms of raising awareness of a company and its offerings among large groups of the population. This strategy can be effective for a variety of businesses, especially if the items and services the company focuses on have broad-based appeal. However, outbound marketing also has a somewhat negative reputation because certain less-accepted practices fall under its umbrella, such as telemarketing cold calls and marketing emails that are frequently seen as spam. Businesses need to be aware of the distinction and make sure their outbound marketing efforts aren’t seen as too out of touch or intrusive. Students who choose to pursue the marketing concentration at UAB develop a wealth of knowledge about a variety of important concepts in this discipline, including inbound and outbound marketing. All students receive an introduction to basic concepts in the Marketing Strategy course, but those in the concentration choose three options from a list of four marketing-focused classes that provide immersive exposure to various current opportunities and concerns tied to the profession. Marketing Analysis and Decision Making, Applied Marketing Research and Health Care Marketing all provide more detailed insights into those specific aspects of customer outreach and engagement. Meanwhile, the Directed Study course allows students the freedom to target current marketing topics for more in-depth study, such as inbound and outbound marketing. Understanding today’s increasingly sophisticated and diverse consumer is vital for effective outreach. While inbound marketing has more applications, knowing when to punctuate such efforts with some relevant outbound marketing is vital as well. Students who are interested in building their knowledge of customer outreach and engagement at the managerial and leadership levels should strongly consider earning an online MBA degree through UAB. With a completely asynchronous learning environment, highly regarded professors and an immersive online educational experience, students enjoy an effective mix of flexibility, quality learning opportunities and engaging coursework. To learn more, reach out to an enrollment advisor today. What is the general industry outlook for MBA graduates? WordStream: What is Outbound Marketing? Marketo: What is Inbound Marketing? Outbrain: What is Inbound Marketing?